Cotton Spandex Blend that is lightweight and stretchy. One pair of Little Sprout Pants™ replaces up to 7 pair of traditional sized pants and will fit your little one from 3-6 months up to 3T*. Made in Canada with designer fabrics, each pair features a folding waist, and ankle cuffs allowing you to adjust the rise on both the tummy and legs as your little sprout grows. 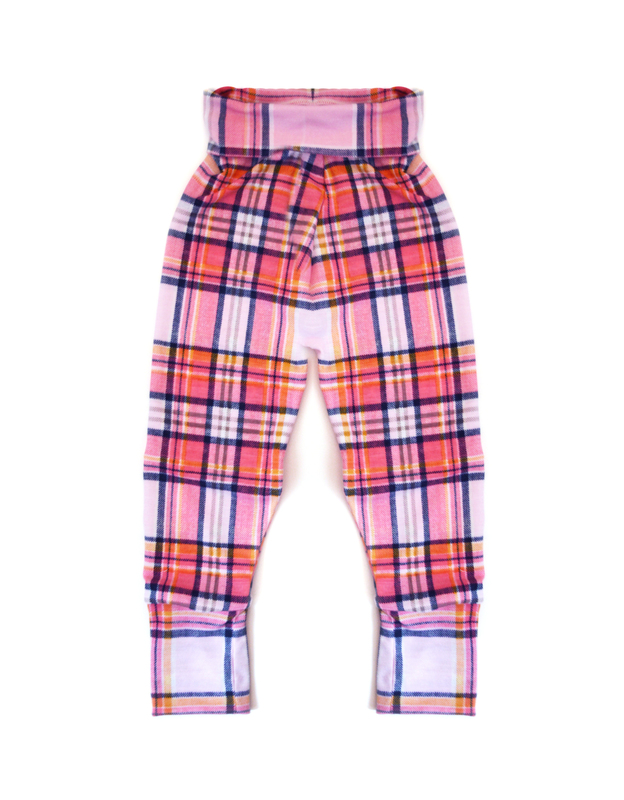 Little Sprout Pants™ are made with shorter cuffs than typical grow with me designs (also known as maxaloons). Replaces sizes 3-6m, 6-9m, 9-12m, 12-18m, 18-24m, 2t and sometimes even 3t depending on the fit of the material, and shape of baby. An average savings of $70! Waist measurement approximately 15″ before stretching. To avoid potential shrinking, lay or hang to air dry.